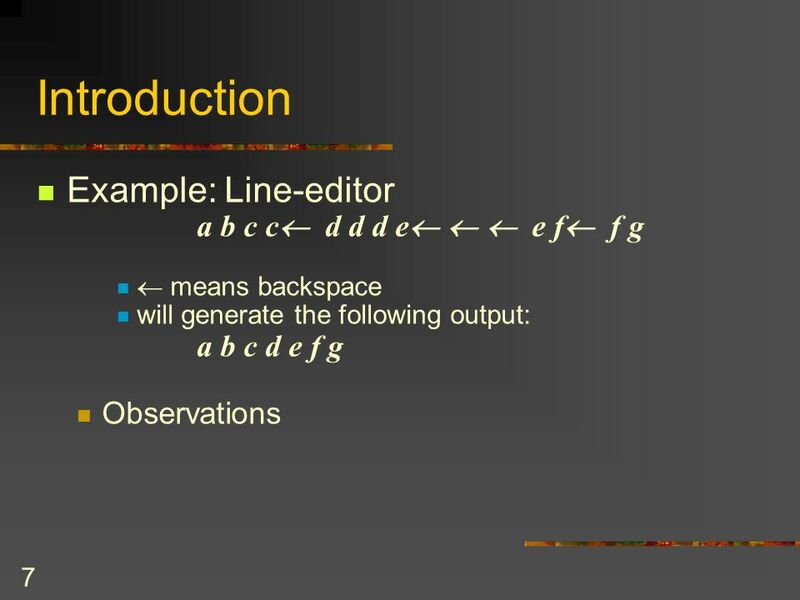 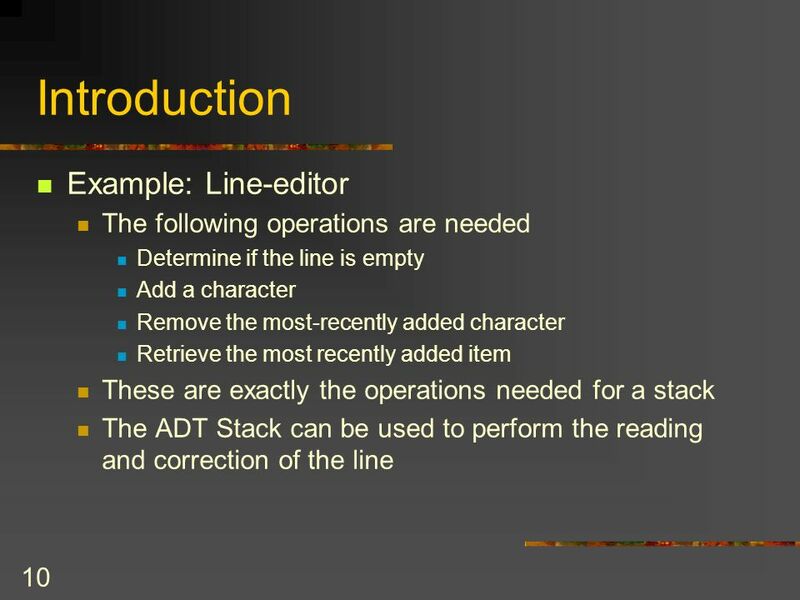 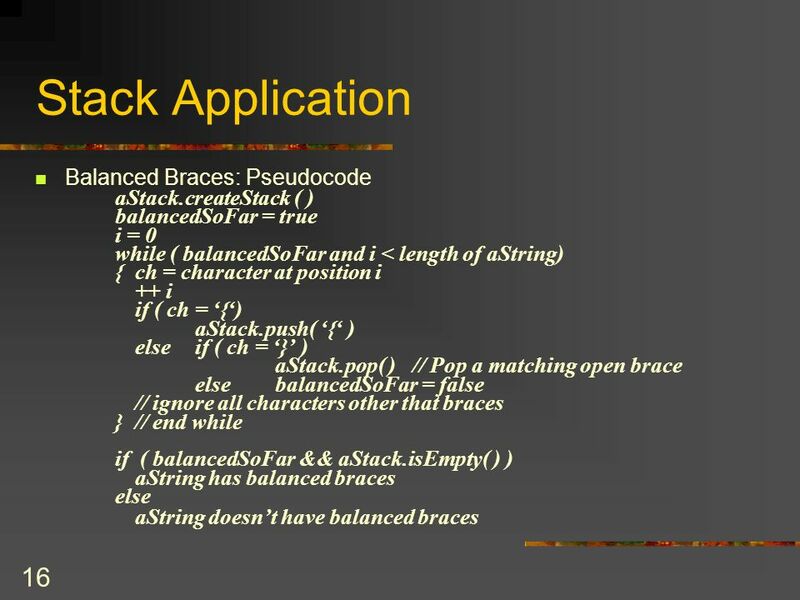 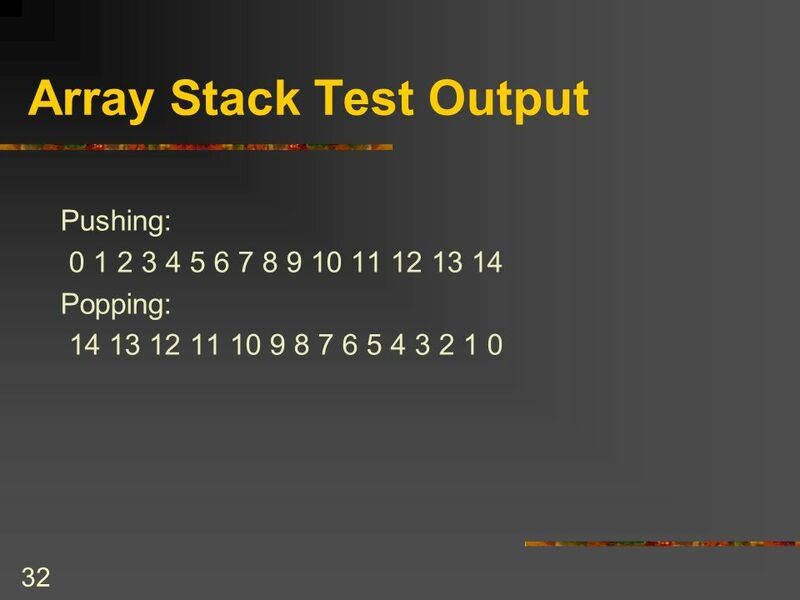 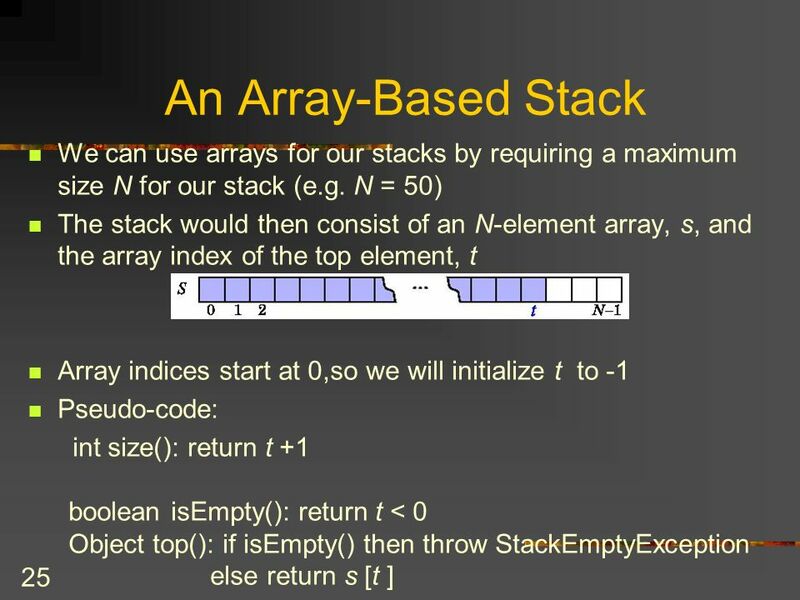 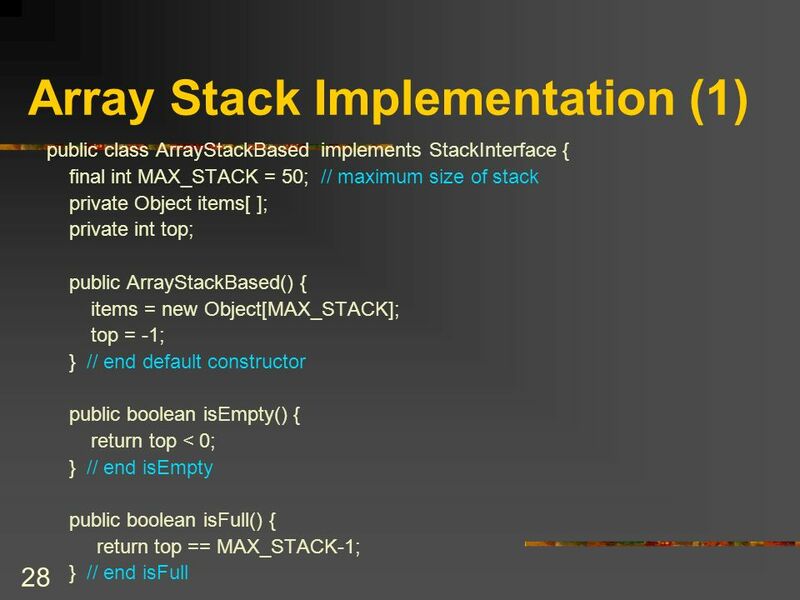 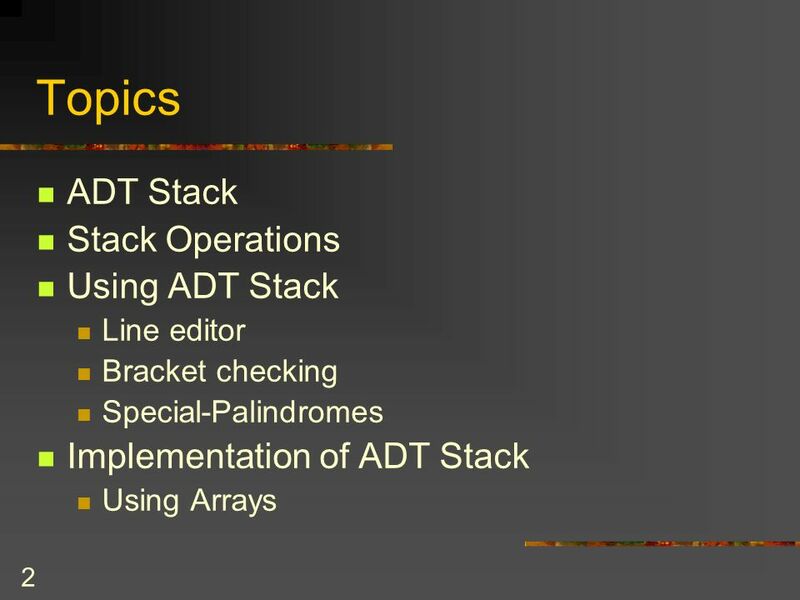 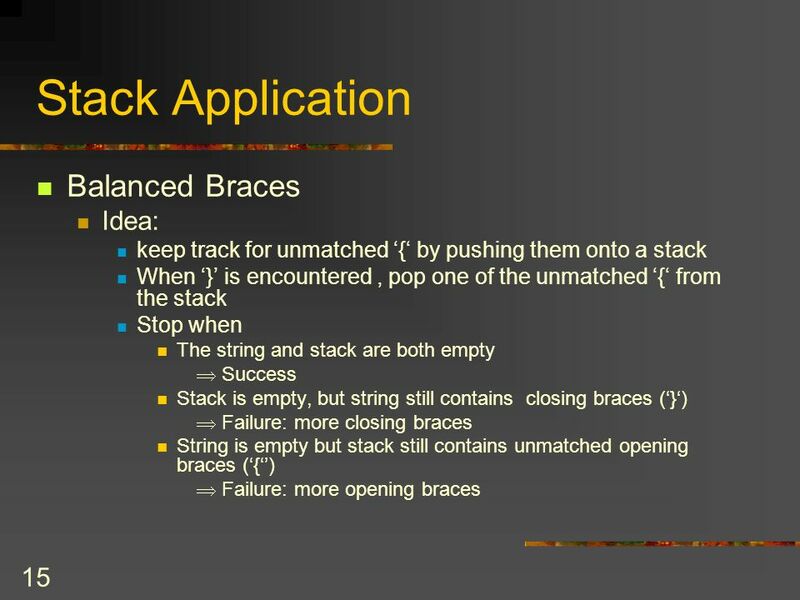 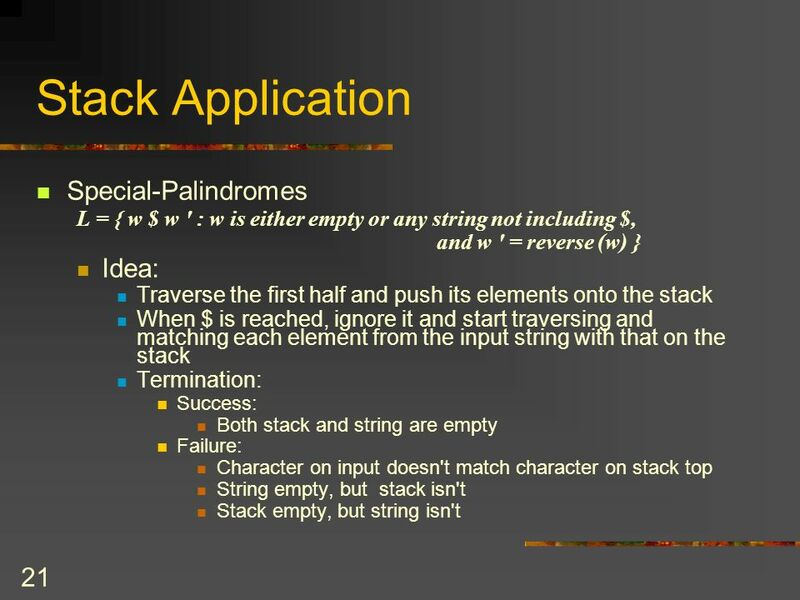 CS2006 - Data Structures I Chapter 6 Stacks I 2 Topics ADT Stack Stack Operations Using ADT Stack Line editor Bracket checking Special-Palindromes Implementation. 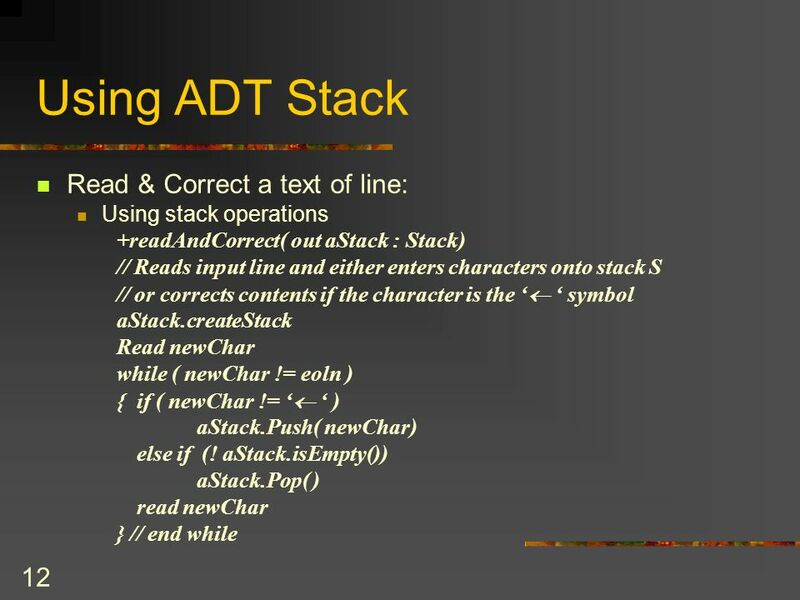 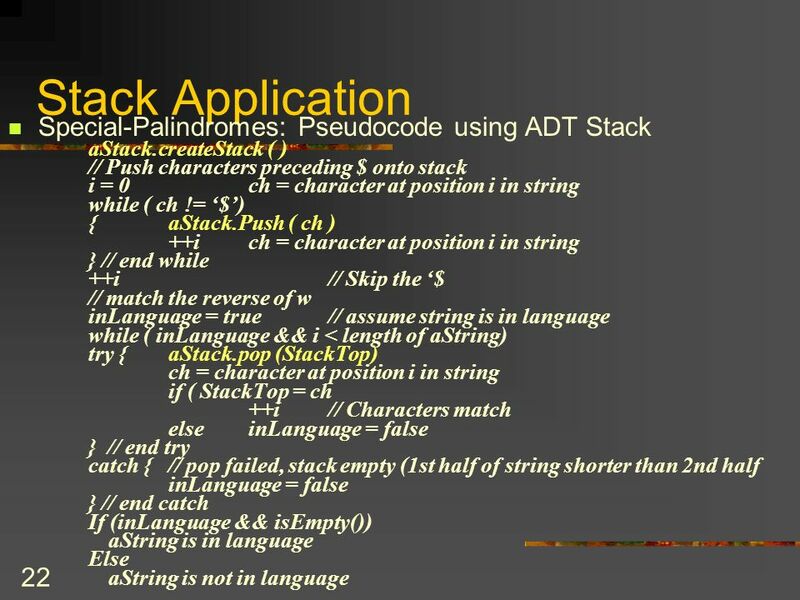 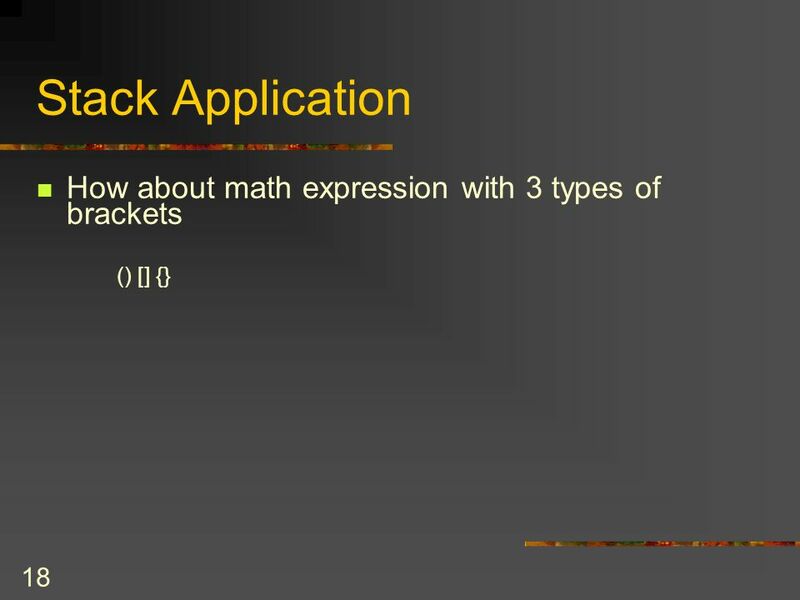 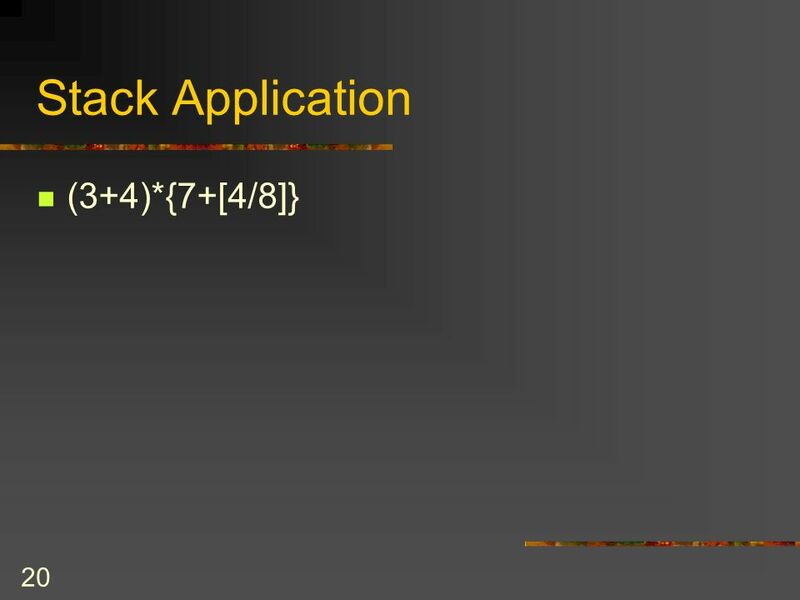 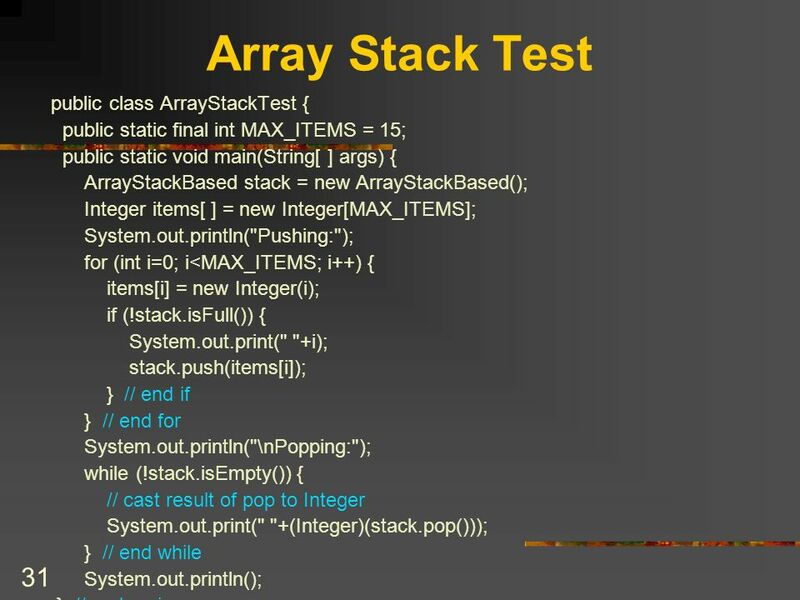 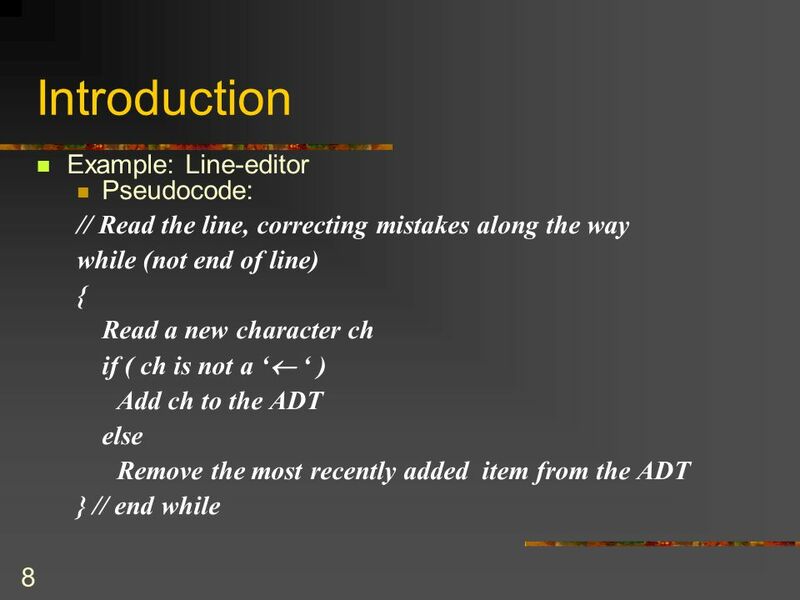 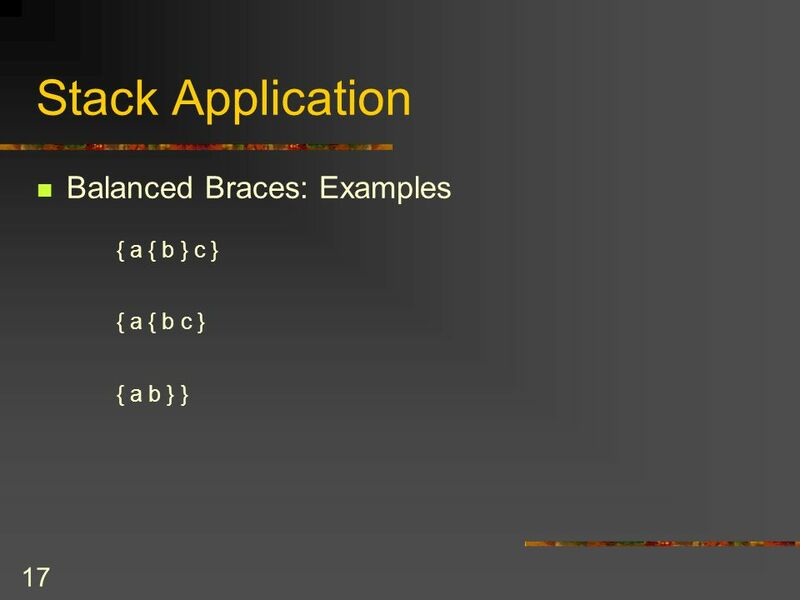 Download ppt "CS2006 - Data Structures I Chapter 6 Stacks I 2 Topics ADT Stack Stack Operations Using ADT Stack Line editor Bracket checking Special-Palindromes Implementation." 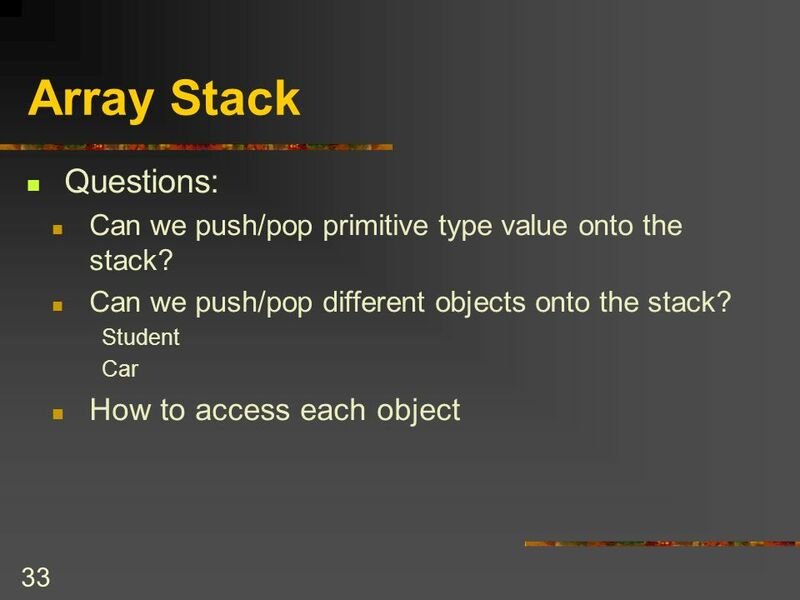 1 Introduction to Computation and Problem Solving Class 23: Introduction to Data Structures: Stacks and Queues Prof. Steven R. Lerman and Dr. V. Judson. 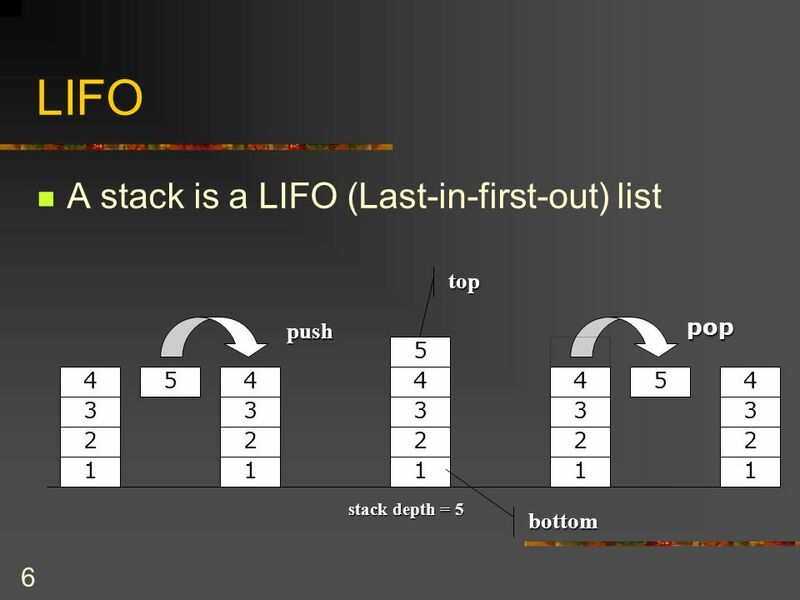 Chapter 4 Linked Lists. 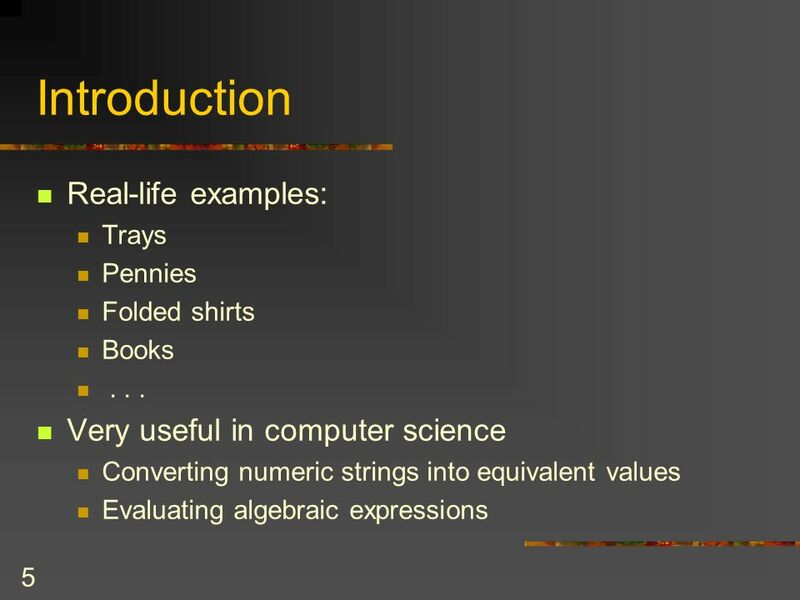 © 2005 Pearson Addison-Wesley. 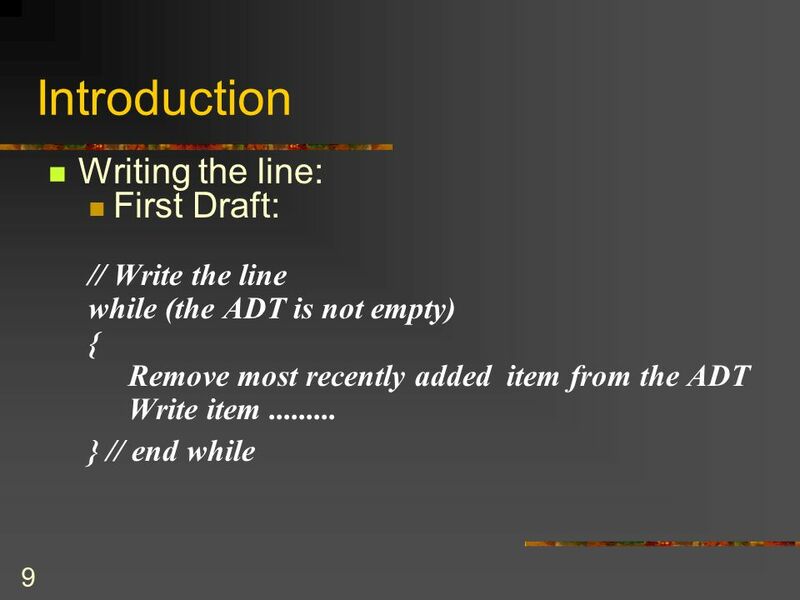 All rights reserved4-2 Preliminaries Options for implementing an ADT List –Array has a fixed size. 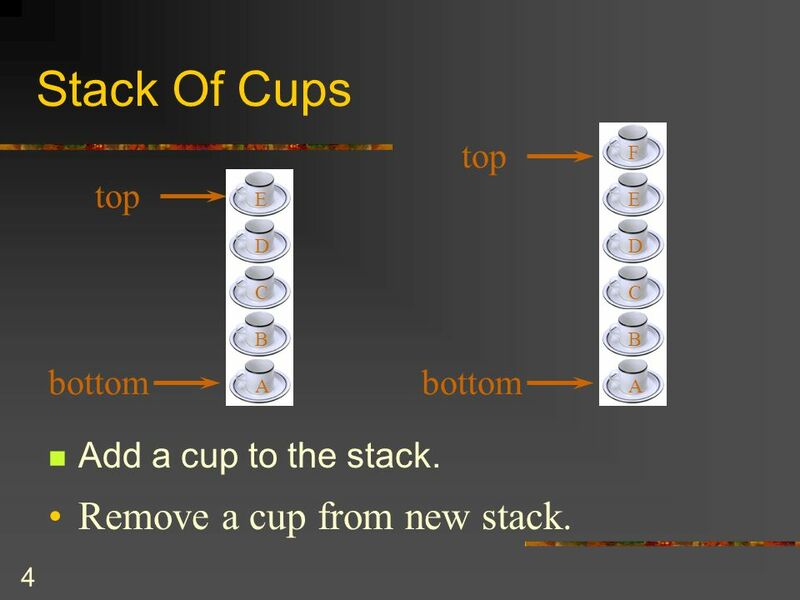 Singly Linked Lists What is a singly-linked list? 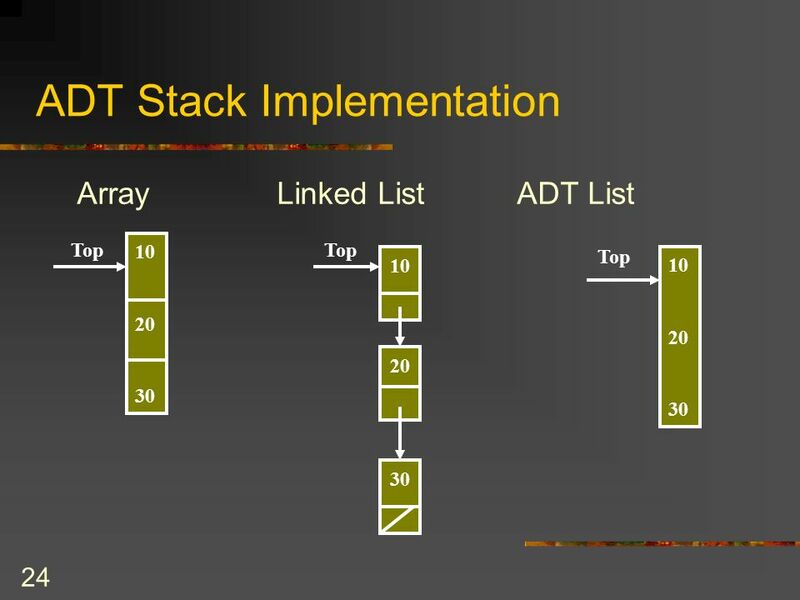 Why linked lists? 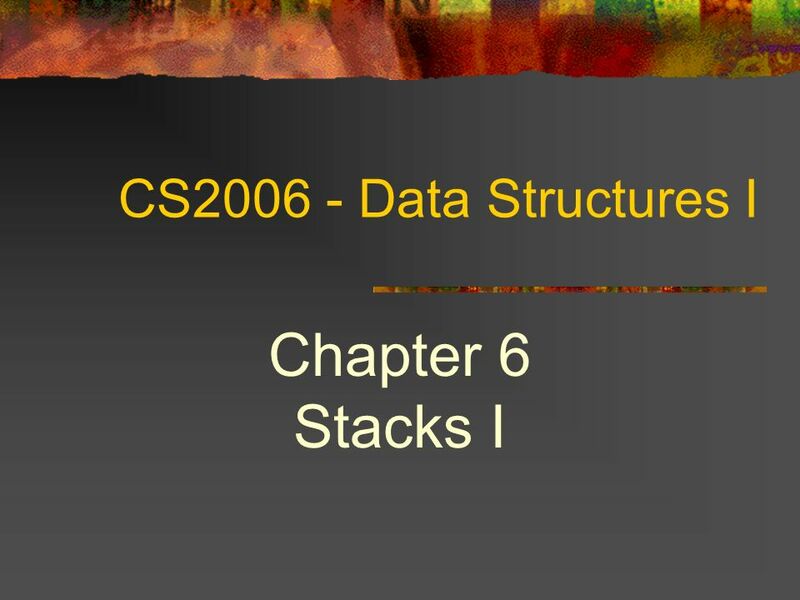 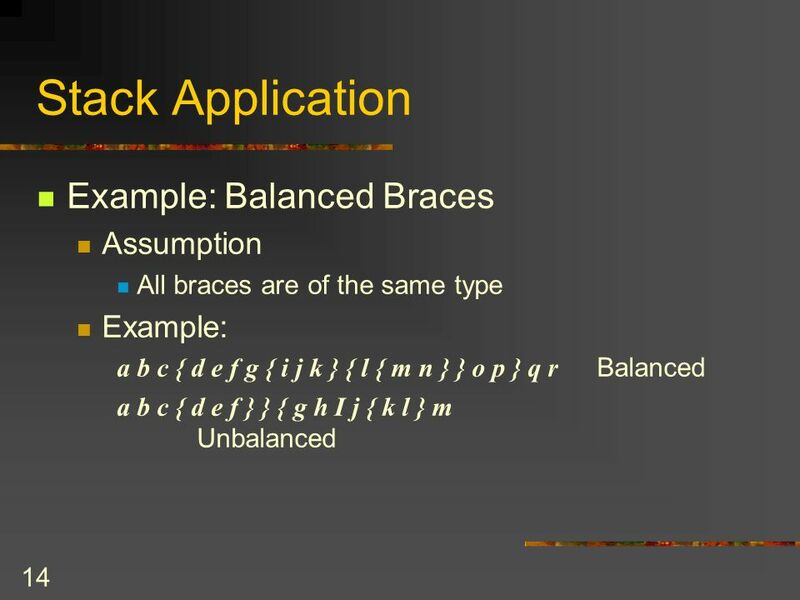 Data Structures Part 2 Stacks, Queues, Trees, and Graphs Briana B. Morrison CSE 1302C Spring 2010. 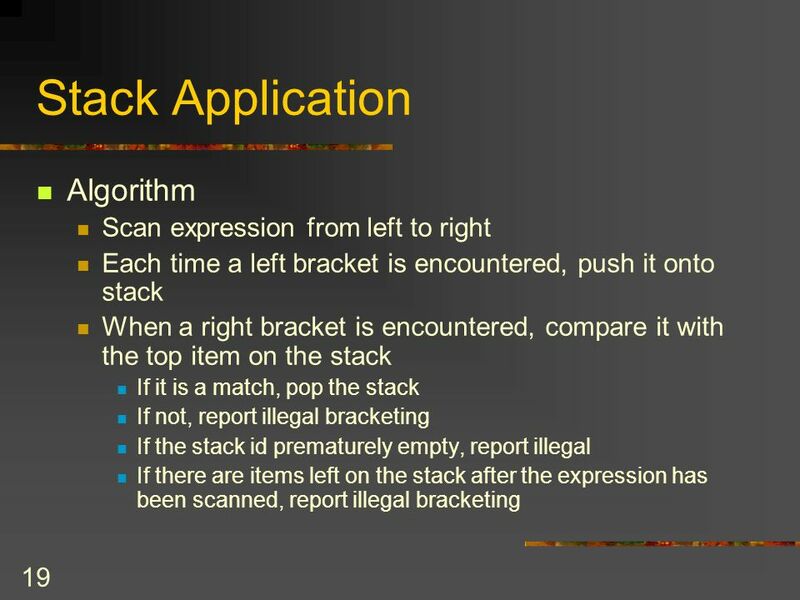 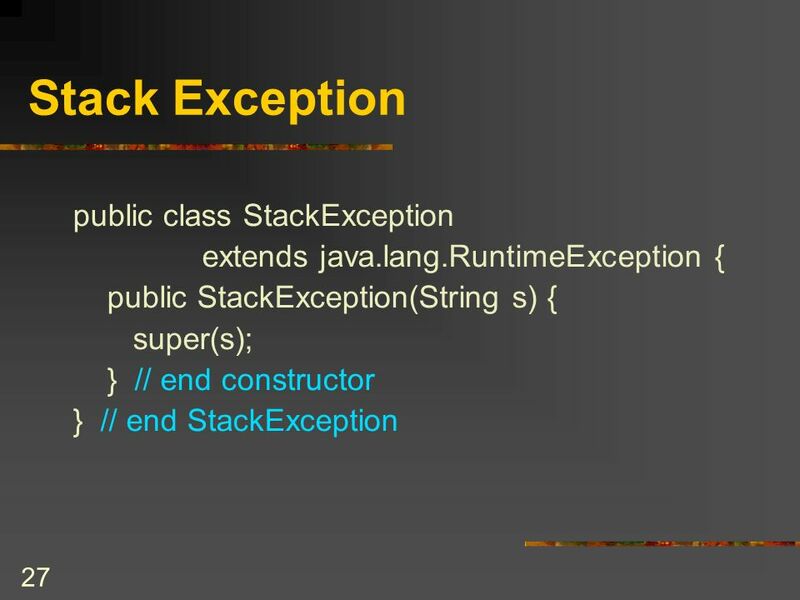 Stack & Queues COP 3502. 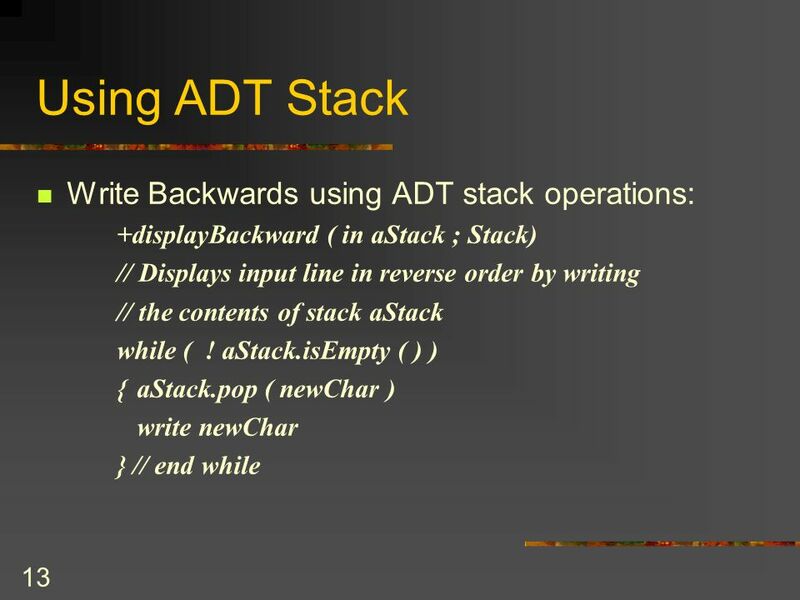 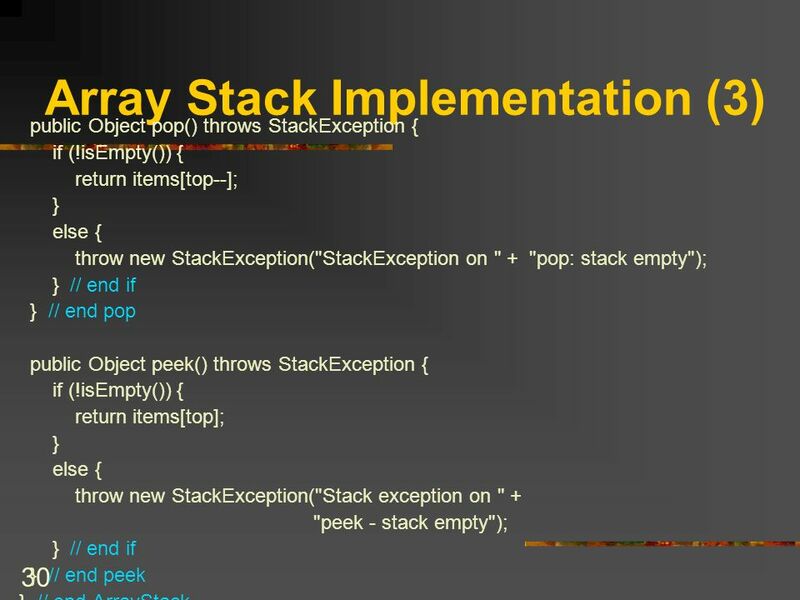 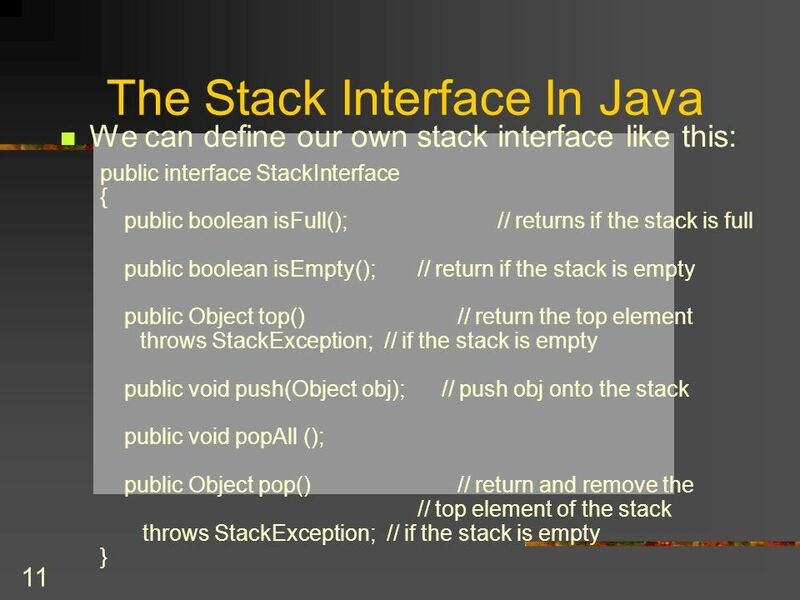 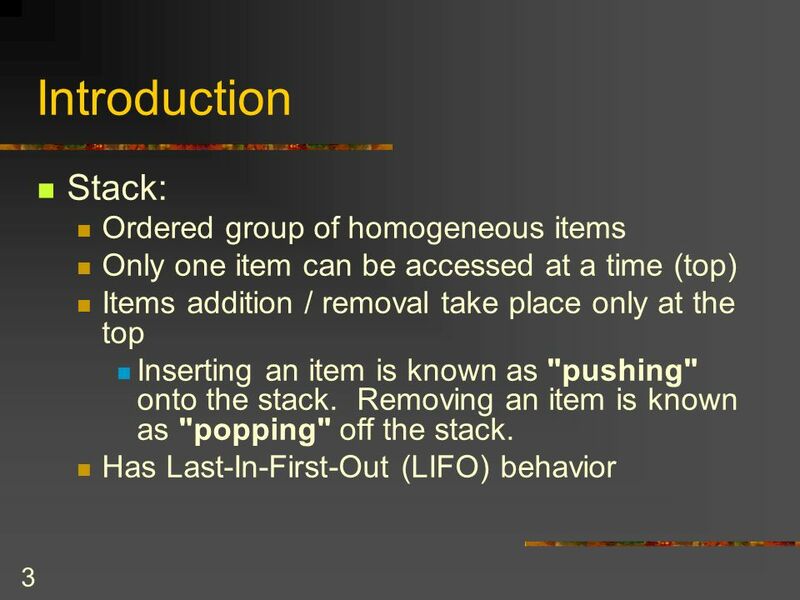 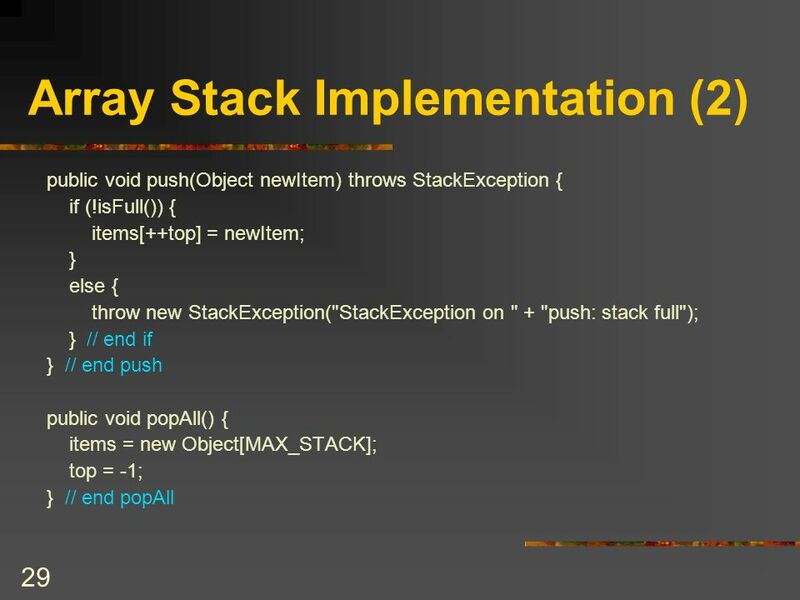 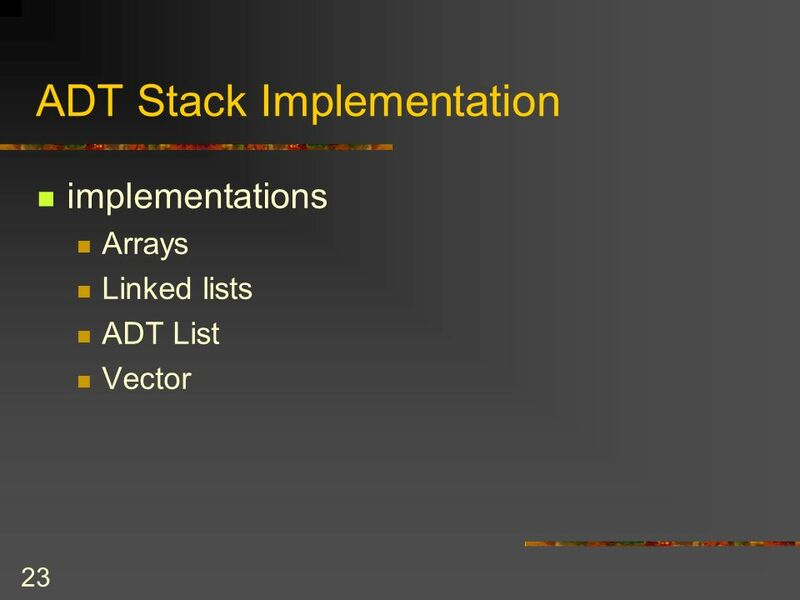 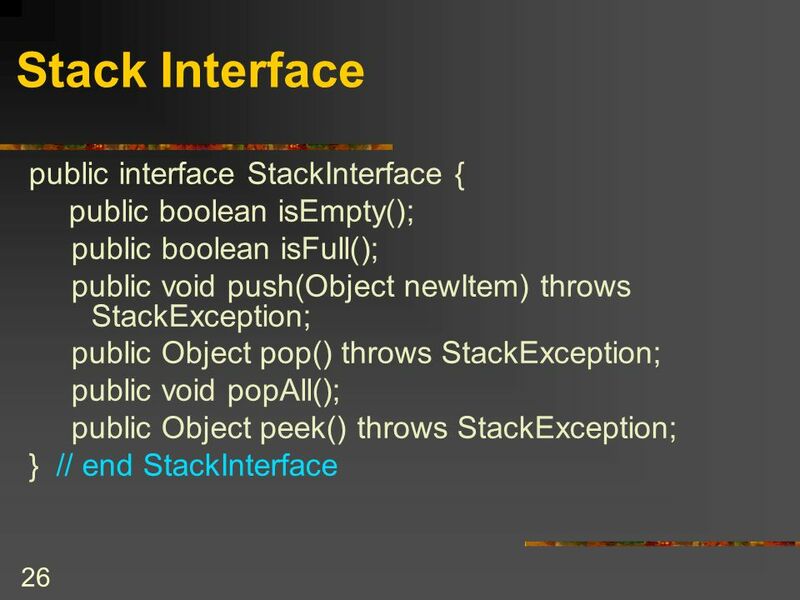 Topic 3 The Stack ADT.